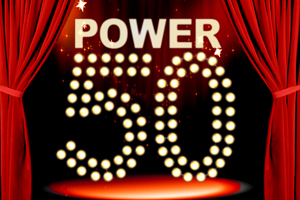 C&IT's Power 50 shortlist has already attracted over 1,500 votes just one week after the going live. The 100 most nominated names were revealed online last Friday. Event heads at big brands including Tesco, AstraZeneca and Aviva are vying for a place against individuals from some of the major agencies such as Grass Roots, Jack Morton Worldwide and Motivcom as well as experiential specialists RPM, Line Up, TRO and Logistik.